Ok, so the first 8 TT weren't numbered, but I thought it might be fun to start numbering them, so here we are to #9 (pathetic considering I started this over a year ago) and my first numbered post. 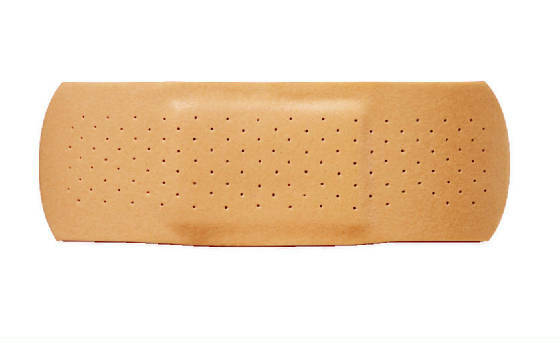 Band-Aids - They help heal, and more importantly, they keep me from getting blood all over the carpet at work (see yesterday's post). 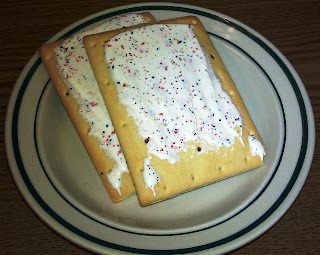 ﻿Pop-Tarts - Ok, so these are actually Wal-mart's brand, but they are so tasty and quick and easy and just perfect for when you're in a hurry and don't have time for an actual breakfast. and attaching a mirror to my helmet. 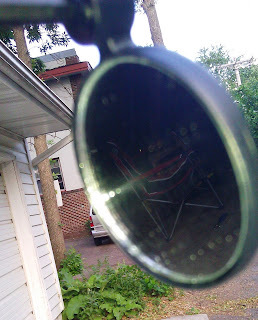 I figure a 45-mile bike ride will be a good time way to get used to riding with a mirror. So, we'll see how that goes. I'm starving right now, so those pop tarts look fantastic! I'm grateful for my health, almost weekend time, and blogs! Okay, so what does the computer thingy do? Cause the whole cycling thing is fairly new to me - it's a whole other set of "accessories" to learn about! @Amanda, Those are fun things to be thankful for. Hope you had a great weekend! @Ally, My computer is fairly basic it tells me my current speed, my maximum speed, the distance of my current trip, and a lifetime distance. 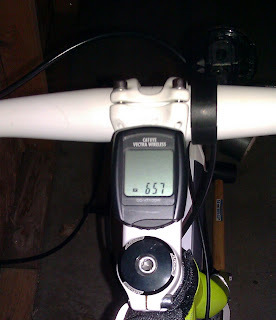 My husband's is a bit more comprehensive giving time of trip and average speeds as well and a few other things. There are a bunch of different options for computers. I wish mine had a bit more functionality, but at least knowing my current speed is helpful for me. I'm pretty new to cycling myself. It totally still counts, right? C'mon Weekend...You're going to be such fun!